The Chief Army commander of military coup arrested and other killed during the radio siege. The political situation in Gabon is "under control" following an attempted military coup, a spokesman for the government has said. All five of the rebels who tried to take charge have now been arrested by the authorities. The junior officers claimed they seized power "to restore democracy" in oil-rich Gabon, where the ailing leader's family has ruled for 50 years. Tanks and armoured vehicles could be seen in the capital Libreville. One of the rebels was on the run for a brief period, before being found hiding under. "The situation is calm. 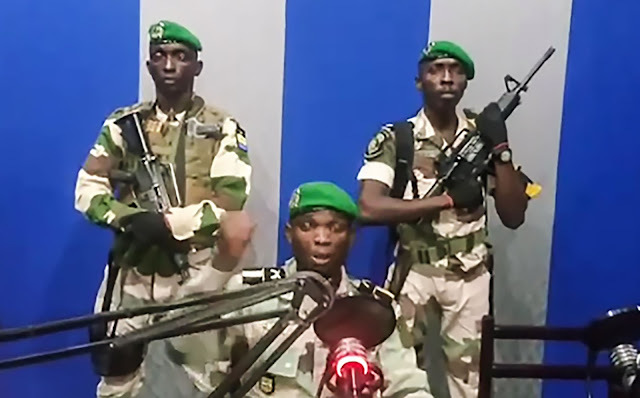 The gendarmes who are often stationed there have taken control of the entire area around the radio and TV headquarters, so everything is back to normal", said Guy-Bertrand Mapangou. a government spokesman. Mr Mapangou said that the army generals, civil society and opposition leaders mentioned in the rebels' statement as potential supporters would be investigated. Current leader Ali Bongo succeeded his father Omar Bongo as president in 2009. He narrowly won re-election in 2016 in a poll marred by violence and accusations of fraud. "The situation is calm. The gendarmes who are often stationed there have taken control of the entire area around the radio and TV headquarters, so everything is back to normal", said Guy-Bertrand Mapangou. a government spokesman.The five soldiers took control of the national radio station at 04:30 local time (03:30 GMT) to read a short statement announcing a "National Restoration Council". In a video circulating on social media, three young soldiers can be seen in a radio studio wearing military fatigues and holding guns. Lt Kelly Ondo Obiang, who said he represented a group called the Patriotic Movement of the Defence and Security Forces of Gabon, specifically appealed to young people to "take charge of their destiny". The insurgents called on soldiers to take control of the transport system, ammunition reserves and airports "in the interests of the nation". Firmain Eric Mbadinga said the coup attempt came as a huge surprise. The army has always been seen as loyal to the Bongo family, he said, because it is dominated by the presidential guard, who mostly come from Mr Bongo's home region. Most of the capital remains calm, an eyewitness told the Reuters news agency. The French government and the African Union condemned the attempted coup. What more do we know about President Ali Bongo? The president's term in office has been overshadowed by a long-running French investigation into allegations of embezzlement involving the Bongo family's assets. Mr Bongo, who has been out of the country for two months, reportedly suffered a stroke in October and received treatment in Morocco. He sought to put an end to the rumours about his health with a televised new year message in which he said he was feeling fine. Soldiers said they had been disappointed by the message, calling it "a pitiful sight" and a "relentless attempt to cling onto power." Mr Bongo has been criticised over his prominent role in the Freemasons - an organisation whose Gabonese chapter he led as lodge master. But his supporters point to his role in attempting to diversify Gabon's oil-dependent economy, in the face of declining oil reserves. President Trump has deployed soldiers to Gabon to protect US citizens amid fears of violent protests in the neighboring Democratic Republic of Congo following its presidential election turmoil and political uncertainty. Chinese President Xi Jinping and African leaders clap during a group photo session during the FOCAC Summit in Beijing, China, September 3, 2018. At the September 2018 Forum on China-Africa Cooperation (FOCAC) in Beijing, African Union Chairperson and Rwandan President Paul Kagame lauded the Chinese aid and investment strategy in Africa as a source of "deep transformation". Kagame argued that the cooperation between China and Africa is based on mutual respect and is for the benefit of both partners. This sentiment is perhaps shared by most African heads of states and governments if their attendance of the summit is anything to go by. 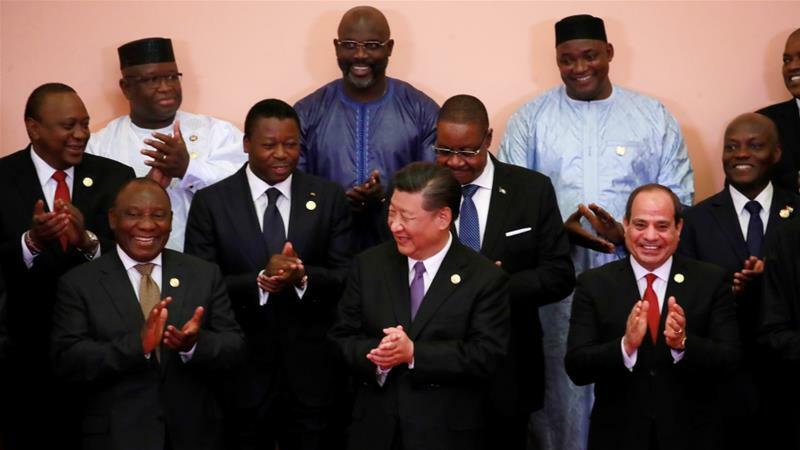 However, despite the African leadership's embrace of China as a valued partner, the view that Beijing is a "predatory" actor in Africa, attempting to recolonise the continent is also ubiquitous in foreign policy circles, media narratives and academia. The China-Africa relationship is currently being interpreted through two diametrically opposed perceptions. The first of the two is a Sino-phobic one, mostly adopted in the West. For instance, in a recent policy briefing at the Heritage Foundation, US National Security Adviser John Bolton criticised China's actions in Africa and claimed the continent has fallen victim to Beijing's new colonialism. "China uses bribes, opaque agreements, and the strategic use of debt to hold states in Africa captive to Beijing's wishes and demands," Bolton said. "Such predatory actions are sub-components of broader Chinese strategic initiatives, including 'One Belt, One Road' - a plan to develop a series of trade routes leading to and from China with the ultimate goal of advancing Chinese global dominance." Just like the US, other western governments, such as the UK and France, also see China's engagement in Africa as a cause for concern. For them, China is a spoiler of peace in oil-rich countries such as South Sudan and Sudan, and a supporter of despots in African countries, such as Gabon. 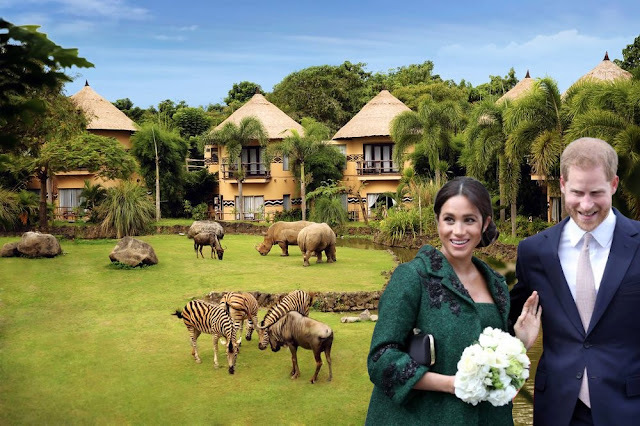 Moreover, they perceive China as a resource and energy-hungry giant, an exploiter of corrupt and incompetent governments, a trade opportunist, and a massive polluter of the African environment. The second and opposing perception of the partnership between Beijing and Africa is a pro-China one. This view is adopted mostly in Africa. According to the proponents of this narrative, China is a saviour - a trustworthy ally of Africa. They view China, a country that does not have a history of colonial aspirations in Africa, as a partner which could provide much-needed funding without any strings attached. They also believe Beijing understands and respects Africa's priorities. Moreover, China has a reputation among African countries for being an actor that respects other cultures and states. This view is widely held by many African heads of state. Much of the academic literature on the China-Africa partnership unjustifiably perpetuates the Sino-phobic narrative. The media also wrongly portrays China as a predatory actor in Africa. For instance, while it is widely reported that China invests more in the extractive industry than in other sectors, the fact that the extractive industry amounts only to one-third of the total Chinese investment in Africa is barely mentioned. The other two-thirds of China's investment in Africa is in infrastructure, construction, electricity production, manufacturing and finance. In fact, compared with the US and other developed countries, China's share in extractive investments in Africa, in the form of mining, for example, is lower. The relationship between African countries and Chinese has reach an inmate threshold. The Sino-phobic narrative championed by the West portrays African nations as passive collaborators, as mere victims of a second "colonisation" wave. However, this is not the case. Africans are well aware of the shortcomings of Chinese assistance and business in Africa - from an imbalance in trade to hefty debt, from poor quality goods to corrupt practices. Africans also know that many Chinese investors lack considerations of sustainability and that some business dealings are in some instances incompatible with the national interests of African countries. Furthermore, Africans recognise that Chinese businesses rarely fight corrupt practices and seek to avoid accountability. Africans expect China to take some responsibility for some of these shortcomings, but also acknowledge that the weaknesses of African regulatory and enforcement mechanisms, as well as self-serving governments, are the main culprits. They know that Chinese companies, like many others, exploit the weaknesses of African states for their advantage. They believe it is their own governments, and not China, that need to make sure Africa is not exploited. As a result, Africans see the Western criticisms of the China-Africa cooperation with serious reservations. At the FOCAC meeting in September, South African President Cyril Ramaphosa summarised the African position by saying that Africa "refutes the view that a new colonialism is taking hold in Africa as our detractors would have us believe." Why Africa loves China ? The debt trap is not an inevitable outcome of loans: As President Kagame said, the outcome "depends on us Africans". The key factor that determines the success of Chinese loans to Africa is whether or not African governments use such loans for productive capital investment. For these investments to succeed, African governments need to be accountable to the people of Africa. This is not the responsibility of China or any other non-African country, for that matter; rather it is Africans who are responsible to ensure accountability. There are some obvious reasons that make China a preferred partner for Africa. For Africans, China has four major attractions: Unconditional soft loans and access to capital; quick delivery of services and cheap goods; funding of peacekeeping; and an alternative development model. First, China's unconditional cooperation has allowed African governments to enjoy access to finance, expertise and development aid. In 2016, the trade between China and Africa reached $128bn, a drastic surge from $1bn in 1980. At FOCAC in Beijing this year, China offered $60bn for development financing until 2021. While the financial crises in the US and EU limited their investments in Africa, China committed to investing more in the continent. Chinese soft loans have enabled many African governments to avoid pressure from global governance institutions such as IMF and World Bank to meet Western norms of accountability and conditionality related to political and economic reforms, such as the infamous structural adjustment that does not always serve the interest of Africans. Second, China has aided African governments to meet their people's rapidly growing demands for services and infrastructure more quickly. Many people in Africa are now used to quick delivery of services - such as transportation, education, health and telecommunication - by Chinese companies. This has created, and will continue to create, more appetite for Chinese business in Africa. Third, China is now also engaged in peace and security projects in Africa. Chinese troops participate in eight UN peacekeeping missions of which five are in Africa. Moreover, China is the second largest financial contributor to UN peacekeeping missions and it also contributed funding to the African Union Mission in Somalia (AMISOM) and the IGAD South Sudan mediation. Fourth, China's history of fast and successful economic growth is a model from which many lessons could be learned in Africa. China's capacity to ensure policy sovereignty remains relevant, and highly attractive to African leaders and scholars. According to the World Bank, in about 40 years, China has lifted about 800 million people out of poverty through its untraditional path of development. Notably, it has achieved many of the Millennium Development Goals. Africans should take a page from China's playbook on development and sovereignty.They can keep their home in order and also make the best out of the competition between great powers and regional players whether they are from the West, Far East or the Middle East. As things stand, China is already winning the hearts and the minds of Africans. The West will have to either change tact or forever play catch up. The African champions and best footballers Award on 08 January 2019 in Dakar Senegal. 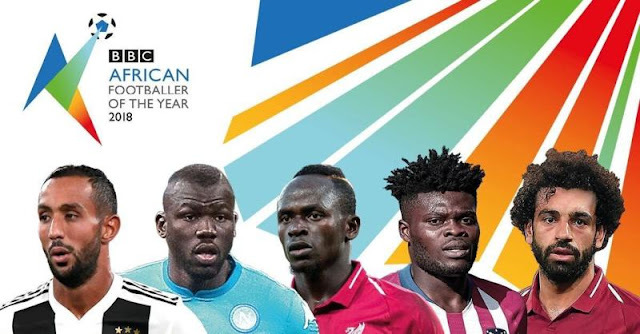 Africa’s best footballers will be celebrated by the Confederation of African Football (CAF) at an Awards Gala in the Senegal's capital city,Dakar on 08 January 2019. The accolades to be handed out include; Men’s Player of the Year, Women’s Player of the Year, Men’s Coach of the Year, Women’s Coach of the Year, Youth player of the year, Men’s National Team of the Year and Women’s National Team of the Year. Egypt’s Mohamed Salah, Senegal’s Sadio Mane and Gabon’s Pierre-Emerick Aubameyang are among of the names announced on Monday as the best three players on the continent. This will be a second year running the trio in battling out for the prestigious prize. Nigerian duo Asisat Oshoala, Francisca Ordega, and South African Chrestinah Thembi Kgatlana their names are among the final nominees for the Women’s Player of the Year 2018. History-making French coaches Nicolas Dupuis and Corentin Martins are among nominations for the best coach award. Dupuis has qualified Madagascar for the Africa Cup of Nations for the first time and Martins achieved a similar feat with Mauritania. What do you make of the predictability of the nominees? Is it a question of consistency by the top players or a limited scope by CAF? Kyazze: I think the top three players have been consistent. When you look at Sadio Mane and Mohamed Salah, and their performances at Liverpool. They have really tried to put in a good shift, just like Aubameyang, from the time he was bought by Arsenal in January,he has really had a good year for them. When you look at all the three players, you could say they are really the best performing Africans out there. Who do you reckon will be crowned the African Player of the Year, come January 8? Kyazze: Well, it is very hard to take it away from Mohamed Salah, yes all they scored goals but when you look at him, the statistics are on his side. He scored very important goals for Liverpool, just like Sadio Mane, but you want to believe that Salah scored more goals and broke records in the English Premier League. His goals took the team to the finals of the Champions League, and he was also influential in making sure Egypt qualify for the World Cup in Russia, which is the same with Sadio Mane, but you want to believe that Mohamed Salah’s statistics are a bit better than those of Sadio Mane. What are your thoughts on the AFCON 2019 host announcement that will come after the awards? What’s the best case scenario for Africa, considering the hosting crisis? Kyazze: Well, it’s a tight one because both were approached by CAF. Initially, South Africa were approached, and they showed interest in hosting it. Egypt were later approached, they showed interest in hosting it. But now, it now all goes down back to CAF. South Africa last hosted AFCON 2013, Egypt last hosted it in 2006, but it will still go down to things like security, infrastructure and all that. You want to believe that both countries have what it takes to host an international tournament, but this is a 24-team tournament that has not been hosted before by an African country, its the first time we are going to have it. South Africa have hosted the World Cup before, of 32 teams, that gives them an edge. Egypt have probably never hosted a tournament of more than 16 teams, so its going to be a little bit hard for them, but also with ongoing insecurity issues in Egypt and the violence of their fans and all that, you would want to believe that South Africa will have an edge ahead of Egypt. The purpose of this very long article is to document, anticipate, expose and oppose ongoing efforts to expand global depopulation campaigns, including human experimentation program with well sealed intentions and agendas either to serve Big Pharma or depopulate the continent which they believed is a contributing to the world problems for being overpopulated. WARNING: What you are about to read is truly shocking. You have never been told this information, not by your government or Medical Association, nor drug companies. If you have studied medicines at school, you were never taught the truth and dispersion of conventional medicine in public health institutions, or even at any university. The truth is that the dark secret of the U.S. system of medicine has encroached the entire globe, especially in developing nations like African continent where majority are either ignorant, naive or ethical-moral corrupt include their leaders. The purpose of this revelation is to educate people through conscious awareness. Once you read the true accounts reported here, you may never trust drug companies again or AFRICOM. which is a forceful military expedition of United States on the continent after African countries has refused its presence. This elaborated article can create some annoyance and disturbance in what people believed as a normal order of the medical system. However, this is not a joke, but as a stern warning against what might happen to us and our children in future if we do not rein in and countering some unseeingly humanitarian aid of horrifying inhumane actions sponsored by Big Pharma and modern-day biological warfare projects. Now, I introduce this shocking timeline, researched,archived and authored by most distinguished scholars and medical experts. The United States claims to be the world leader in medicine, but there's a dark side to western medicine that many people failed to acknowledge: The United State for decades indulged in secret military projects of horrifying medical experiments performed on impoverished people and the children all in the name of scientific progress and contribute to its military complex. Many of these medical experiments were conducted on unsuspected people without their knowledge, and most were conducted under Food and Drug Agency (FDA) as part of an effort to seek profits from newly approved drugs, to maintain medical technologies or advancing biological weapon programs for the military. Understand that today, the medical experiments and other ploys are continue and now these projects are no more done on the U.S. soil or its population as it was in 1980s and years beyond. The biosecurity/biosafety fragility and chaotic political environment exist in Africa provides an excellent testing ground with open human quarantine. For many years the US military has carried out mass dozing on US citizens include children using different diagnosis,patents, techniques and fictitious diseases like HIV/AIDS and other behavioral psychedelic drugs invented by psychiatry/scientist given FDA's approval for testing marketed drugs that have not undergone any legitimate clinical inspection. I must assert that our population right now is being subjected to these medical experiments on a staggering scale. The mass medication trial on people around the globe is a grand medical experiment which is taking place right now. Truly, for a person to understand how this mass experimentation in modern time came into being, you have to take a close look at the horrific events and documented history about conventional medicine's exploitation of innocent humans and animals who used for cruel medical experiments. The purpose of clinical trial is to find out if the newest invented drug will work, and what kind of side effects on animals and humans might expect. If it worked on animals, but will this drug also work or kill people or turn them green? Every description you see on a label is there because someone has been a test subject. Usually using people in group categories at least from 10 subject to an entire village that put in constant monitoring and observation after gone thought testing which normally hidden under the vaccination or health immunization campaigns. People have suffered the side effect some died without being identified the real cause of the death. These clinical trials to test new medications are taking place all over the world, but developing countries often serve as cost effective locations due to lack of vigilance and scrutiny. 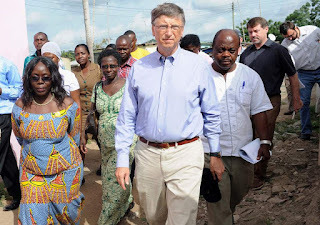 A famous business persona like Bill Gates from Bill and Melinda Foundation is funded by the multinational pharmaceutical companies such as Pfizer, Roche, Novartis, Gilead Sciences and among others for generating false medical alerts and then promoting global vaccination. The Foundation is also promoting MOSANTO with its controversial GMOs. whih now stalke the marketplace in Sub-Saharan African region. Dr J K Anand, a retired doctor from Peterborough he asked a question “Are vaccine trials going on somewhere in Africa?” This question has no answer and led Ghana citizens to protest against forcing Ebola vaccines under the Banner of “Stop ‘criminal’ Ebola vaccines trial in Ghana” the Coalition of Ghana’s Independence Now (CGIN) has issued a communique and broadcast “We consider the human experimentation of Ebola vaccine in a country with no Ebola case as criminal, human rights abuse, thievery, and a total disrespect of Ghanaians as human beings” . The communique went on: “We want to say without fear or favour that Ebola is not just a disease but rather a well-planned business. A business where people have created an artificial problem and are now looking for a market to sell the solution and we are telling Ghanaians beforehand that there is and will be no way by which Ghana can go through this Ebola virus human experiment without Ebola being spread countrywide. 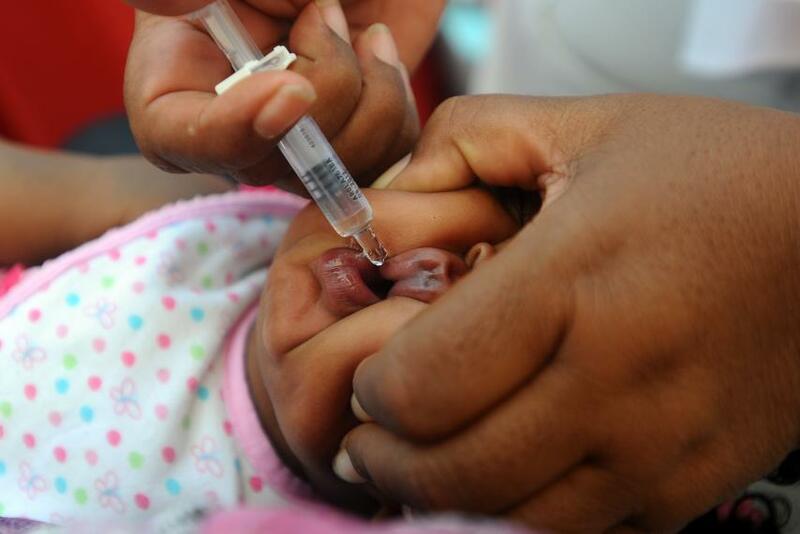 Over millions children undergone an Oral Polio Vaccine (OPV) through Polio eradication program. Human experimentation: Is a process involves a live subject, human being in the experiments considered very cruel, painful or deadly.- Most major part of U.S military programs related to healthcare often are two-folds. The United States is undoubtedly responsible for some of the most amazing scientific breakthroughs. These advancements, especially in the field of medicine, have changed the lives of billions of people around the world -- sometimes for the better, as in the case of finding a cure for malaria and other epidemic diseases, and sometimes for the worse (consider drugging schoolchildren in the video presented here in this article). However, these breakthroughs come with a hefty price tag: The human beings used in the experiments that made these advancements possible. Over the last two centuries, some of these test subjects have been compensated for the damage done to their emotional and personal health, but most have not. Many have lost their lives because of the experiments they often unwillingly and sometimes even unwittingly participated in, and they of course can never be compensated for losing their most precious possession of all: Their health. As you read through these science experiments, you'll learn the stories of newborns injected with radioactive substances, mentally ill people, prison inmates placed in giant refrigerators, people purposely infected with hepatitis and military personnel deliberately exposed to biochemical weapons by the very same government they served. These stories are facts, not fiction: Each account, no matter how horrifying, is backed up with a link or citation to a reputable source. These stories must be heard because human experimentation is still going on today, but there is a different methods and modus operadi on how those institutions in US and other countries are execute them. 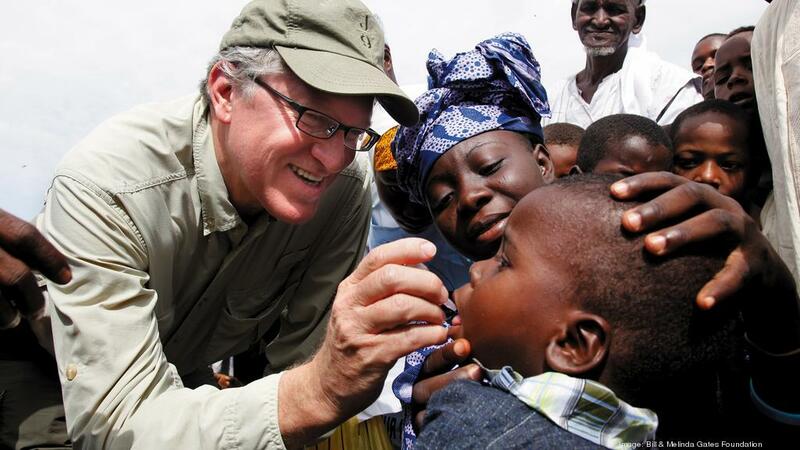 You may wonder why several humanitarian assistance programs such as USAID, CDC,Peace Corps and HIV/AIDS Programs (PEPFAR network) are being directed by the Department of Defense. The reasons behind the experiments may be different, but the usual human guinea pigs are still the same -- members of minority groups, the poor and the disadvantaged communities. These are the innocent lives that were put in nefarious programs in the name of "scientific research" to test medicine or advancing military technologies. Don't become a shitholes! (1906): Harvard professor Dr. Richard Strong infects prisoners in the Philippines with cholera to study the disease; 13 of them die. He compensates survivors with cigars and cigarettes. During the Nuremberg Trials, Nazi doctors cite this study to justify their own medical experiments (Greger, Sharav). (1911) Dr. Hideyo Noguchi of the Rockefeller Institute for Medical Research publishes data on injecting an inactive syphilis preparation into the skin of 146 hospital patients and normal children in an attempt to develop a skin test for syphilis. Later, in 1913, several of these children's parents sue Dr. Noguchi for allegedly infecting their children with syphilis ("Reviews and Notes: History of Medicine: Subjected to Science: Human Experimentation in America before the Second World War"). (1913) Medical experimenters "test" 15 children at the children's home St. Vincent's House in Philadelphia with tuberculin, resulting in permanent blindness in some of the children. Though the Pennsylvania House of Representatives records the incident, the researchers are not punished for the experiments ("Human Experimentation: Before the Nazi Era and After"). (1915) Dr. Joseph Goldberger, under order of the U.S. Public Health Office, produces Pellagra, a debilitating disease that affects the central nervous system, in 12 Mississippi inmates to try to find a cure for the disease. One test subject later says that he had been through "a thousand hells." In 1935, after millions die from the disease, the director of the U.S Public Health Office would finally admit that officials had known that it was caused by a niacin deficiency for some time, but did nothing about it because it mostly affected poor African-Americans. During the Nuremberg Trials, Nazi doctors used this study to try to justify their medical experiments on concentration camp inmates (Greger; Cockburn and St. Clair, eds.). (1918) In response to the Germans' use of chemical weapons during World War I, President Wilson creates the Chemical Warfare Service (CWS) as a branch of the U.S. Army. Twenty-four years later, in 1942, the CWS would begin performing mustard gas and lewisite experiments on over 4,000 members of the armed forces (Global Security, Goliszek). (1919 - 1922) Researchers perform testicular transplant experiments on inmates at San Quentin State Prison in California, inserting the testicles of recently executed inmates and goats into the abdomens and scrotums of living prisoners (Greger). (1931) Cornelius Rhoads, a pathologist from the Rockefeller Institute for Medical Research, purposely infects human test subjects in Puerto Rico with cancer cells; 13 of them die. Though a Puerto Rican doctor later discovers that Rhoads purposely covered up some of details of his experiment and Rhoads himself gives a written testimony stating he believes that all Puerto Ricans should be killed, he later goes on to establish the U.S. Army Biological Warfare facilities in Maryland, Utah and Panama, and is named to the U.S. Atomic Energy Commission, where he begins a series of radiation exposure experiments on American soldiers and civilian hospital patients (Sharav; Cockburn and St. Clair, eds.). (1931 - 1933) Mental patients at Elgin State Hospital in Illinois are injected with radium-266 as an experimental therapy for mental illness (Goliszek). (1932-1972) The U.S. Public Health Service in Tuskegee, Ala. diagnoses 400 poor, black sharecroppers with syphilis but never tells them of their illness nor treats them; instead researchers use the men as human guinea pigs to follow the symptoms and progression of the disease. They all eventually die from syphilis and their families are never told that they could have been treated (Goliszek, University of Virginia Health System Health Sciences Library). (1937) Scientists at Cornell University Medical School publish an angina drug study that uses both placebo and blind assessment techniques on human test subjects. They discover that the subjects given the placebo experienced more of an improvement in symptoms than those who were given the actual drug. This is first account of the placebo effect published in the United States ("Placebo Effect"). (1939) In order to test his theory on the roots of stuttering, prominent speech pathologist Dr. Wendell Johnson performs his famous "Monster Experiment" on 22 children at the Iowa Soldiers' Orphans' Home in Davenport. Dr. Johnson and his graduate students put the children under intense psychological pressure, causing them to switch from speaking normally to stuttering heavily. At the time, some of the students reportedly warn Dr. Johnson that, "in the aftermath of World War II, observers might draw comparisons to Nazi experiments on human subjects, which could destroy his career" (Alliance for Human Research Protection). (1941) Dr. William C. Black infects a 12-month-old baby with herpes as part of a medical experiment. At the time, the editor of the Journal of Experimental Medicine, Francis Payton Rous, calls it "an abuse of power, an infringement of the rights of an individual, and not excusable because the illness which followed had implications for science" (Sharav). An article in a 1941 issue of Archives of Pediatrics describes medical studies of the severe gum disease Vincent's angina in which doctors transmit the disease from sick children to healthy children with oral swabs (Goliszek). Drs. Francis and Salk and other researchers at the University of Michigan spray large amounts of wild influenza virus directly into the nasal passages of "volunteers" from mental institutions in Michigan. The test subjects develop influenza within a very short period of time (Meiklejohn). Researchers give 800 poverty-stricken pregnant women at a Vanderbilt University prenatal clinic "cocktails" including radioactive iron in order to determine the iron requirements of pregnant women (Pacchioli). (1942) The United States creates Fort Detrick, a 92-acre facility, employing nearly 500 scientists working to create biological weapons and develop defensive measures against them. Fort Detrick's main objectives include investigating whether diseases are transmitted by inhalation, digestion or through skin absorption; of course, these biological warfare experiments heavily relied on the use of human subjects (Goliszek). U.S. Army and Navy doctors infect 400 prison inmates in Chicago with malaria to study the disease and hopefully develop a treatment for it. The prisoners are told that they are helping the war effort, but not that they are going to be infected with malaria. During Nuremberg Trials, Nazi doctors later cite this American study to defend their own medical experiments in concentration camps like Auschwitz (Cockburn and St. Clair, eds.). The Chemical Warfare Service begins mustard gas and lewisite experiments on 4,000 members of the U.S. military. Some test subjects don't realize they are volunteering for chemical exposure experiments, like 17-year-old Nathan Schnurman, who in 1944 thinks he is only volunteering to test "U.S. Navy summer clothes" (Goliszek). In an experiment sponsored by the U.S. Navy, Harvard biochemist Edward Cohn injects 64 inmates of Massachusetts state prisons with cow's blood (Sharav). Merck Pharmaceuticals President George Merck is named director of the War Research Service (WRS), an agency designed to oversee the establishment of a biological warfare program (Goliszek). (1943) In order to "study the effect of frigid temperature on mental disorders," researchers at University of Cincinnati Hospital keep 16 mentally disabled patients in refrigerated cabinets for 120 hours at 30 degrees Fahrenheit (Sharav). (1944) As part of the Manhattan Project that would eventually create the atomic bomb, researchers inject 4.7 micrograms of plutonium into soldiers at the Oak Ridge facility, 20 miles west of Knoxville, Tenn. ("Manhattan Project: Oak Ridge"). Captain A. W. Frisch, an experienced microbiologist, begins experiments on four volunteers from the state prison at Dearborn, Mich., inoculating prisoners with hepatitis-infected specimens obtained in North Africa. One prisoner dies; two others develop hepatitis but live; the fourth develops symptoms but does not actually develop the disease (Meiklejohn). Laboratory workers at the University of Minnesota and University of Chicago inject human test subjects with phosphorus-32 to learn the metabolism of hemoglobin (Goliszek). MKULTRA and Caudron programs of testing humans as guinea pigs. (1944 - 1946) In order to quickly develop a cure for malaria -- a disease hindering Allied success in World War II -- University of Chicago Medical School professor Dr. Alf Alving infects psychotic patients at Illinois State Hospital with the disease through blood transfusions and then experiments malaria cures on them (Sharav). A captain in the medical corps addresses an April 1944 memo to Col. Stanford Warren, head of the Manhattan Project's Medical Section, expressing his concerns about atom bomb component fluoride's central nervous system (CNS) effects and asking for animal research to be done to determine the extent of these effects: "Clinical evidence suggests that uranium hexafluoride may have a rather marked central nervous system effect ... It seems most likely that the F [code for fluoride] component rather than the T [code for uranium] is the causative factor ... Since work with these compounds is essential, it will be necessary to know in advance what mental effects may occur after exposure." The following year, the Manhattan Project would begin human-based studies on fluoride's effects (Griffiths and Bryson). The Manhattan Project medical team, led by the now infamous University of Rochester radiologist Col. Safford Warren, injects plutonium into patients at the University's teaching hospital, Strong Memorial (Burton Report). (1945) Continuing the Manhattan Project, researchers inject plutonium into three patients at the University of Chicago's Billings Hospital (Sharav). The U.S. State Department, Army intelligence and the CIA begin Operation Paperclip, offering Nazi scientists immunity and secret identities in exchange for work on top-secret government projects on aerodynamics and chemical warfare medicine in the United States ("Project Paperclip"). Researchers infect 800 prisoners in Atlanta with malaria to study the disease (Sharav). (1945 - 1955) In Newburgh, N.Y., researchers linked to the Manhattan Project begin the most extensive American study ever done on the health effects of fluoridating public drinking water (Griffiths and Bryson). (1946) Gen. Douglas MacArthur strikes a secret deal with Japanese physician Dr. Shiro Ishii to turn over 10,000 pages of information gathered from human experimentation in exchange for granting Ishii immunity from prosecution for the horrific experiments he performed on Chinese, Russian and American war prisoners, including performing vivisections on live human beings (Goliszek, Sharav). Male and female test subjects at Chicago's Argonne National Laboratories are given intravenous injections of arsenic-76 so that researchers can study how the human body absorbs, distributes and excretes arsenic (Goliszek). Continuing the Newburg study of 1945, the Manhattan Project commissions the University of Rochester to study fluoride's effects on animals and humans in a project codenamed "Program F." With the help of the New York State Health Department, Program F researchers secretly collect and analyze blood and tissue samples from Newburg residents. The studies are sponsored by the Atomic Energy Commission and take place at the University of Rochester Medical Center's Strong Memorial Hospital (Griffiths and Bryson). (1946 - 1947) University of Rochester researchers inject four male and two female human test subjects with uranium-234 and uranium-235 in dosages ranging from 6.4 to 70.7 micrograms per one kilogram of body weight in order to study how much uranium they could tolerate before their kidneys become damaged (Goliszek). Six male employees of a Chicago metallurgical laboratory are given water contaminated with plutonium-239 to drink so that researchers can learn how plutonium is absorbed into the digestive tract (Goliszek). Researchers begin using patients in VA hospitals as test subjects for human medical experiments, cleverly worded as "investigations" or "observations" in medical study reports to avoid negative connotations and bad publicity (Sharav). The American public finally learns of the biowarfare experiments being done at Fort Detrick from a report released by the War Department (Goliszek). (1946 - 1953) The U.S. Atomic Energy Commission sponsors studies in which researchers from Harvard Medical School, Massachusetts General Hospital and the Boston University School of Medicine feed mentally disabled students at Fernald State School Quaker Oats breakfast cereal spiked with radioactive tracers every morning so that nutritionists can study how preservatives move through the human body and if they block the absorption of vitamins and minerals. Later, MIT researchers conduct the same study at Wrentham State School (Sharav, Goliszek). Human test subjects are given one to four injections of arsenic-76 at the University of Chicago Department of Medicine. Researchers take tissue biopsies from the subjects before and after the injections (Goliszek). (1947) Col. E.E. Kirkpatrick of the U.S. Atomic Energy Commission (AEC) issues a top-secret document (707075) dated Jan. 8. In it, he writes that "certain radioactive substances are being prepared for intravenous administration to human subjects as a part of the work of the contract" (Goliszek). A secret AEC document dated April 17 reads, "It is desired that no document be released which refers to experiments with humans that might have an adverse reaction on public opinion or result in legal suits," revealing that the U.S. government was aware of the health risks its nuclear tests posed to military personnel conducting the tests or nearby civilians (Goliszek). The CIA begins studying LSD's potential as a weapon by using military and civilian test subjects for experiments without their consent or even knowledge. Eventually, these LSD studies will evolve into the MKULTRA program in 1953. (1947 - 1953) The U.S. Navy begins Project Chatter to identify and test so-called "truth serums," such as those used by the Soviet Union to interrogate spies. Mescaline and the central nervous system depressant scopolamine are among the many drugs tested on human subjects (Goliszek). (1948) Based on the secret studies performed on Newburgh, N.Y. residents beginning in 1945, Project F researchers publish a report in the August 1948 edition of the Journal of the American Dental Association, detailing fluoride's health dangers. The U.S. Atomic Energy Commission (AEC) quickly censors it for "national security" reasons (Griffiths and Bryson). (1950 - 1953) The CIA and later the Office of Scientific Intelligence begin Project Bluebird (renamed Project Artichoke in 1951) in order to find ways to "extract" information from CIA agents, control individuals "through special interrogation techniques," "enhance memory" and use "unconventional techniques, including hypnosis and drugs" for offensive measures (Goliszek). The true documented history of United States Human Experimentation since Cold War. Doctors at the Cleveland City Hospital study changes in cerebral blood flow by injecting test subjects with spinal anesthesia, inserting needles in their jugular veins and brachial arteries, tilting their heads down and, after massive blood loss causes paralysis and fainting, measuring their blood pressure. They often perform this experiment multiple times on the same subject (Goliszek). Dr. D. Ewen Cameron, later of MKULTRA infamy due to his 1957 to1964 experiments on Canadians, publishes an article in the British Journal of Physical Medicine, in which he describes experiments that entail forcing schizophrenic patients at Manitoba's Brandon Mental Hospital to lie naked under 15- to 200-watt red lamps for up to eight hours per day. His other experiments include placing mental patients in an electric cage that overheats their internal body temperatures to 103 degrees Fahrenheit, and inducing comas by giving patients large injections of insulin (Goliszek). (1950) (Goliszek). The U.S. Army secretly contaminates the Norfolk Naval Supply Center in Virginia and Washington, D.C.'s National Airport with a strain of bacteria chosen because African-Americans were believed to be more susceptible to it than Caucasians. The experiment causes food poisoning, respiratory problems and blood poisoning (Cockburn and St. Clair, eds.). (1951 - 1952) Researchers withhold insulin from diabetic patients for up to two days in order to observe the effects of diabetes; some test subjects go into diabetic comas (Goliszek). (1953 - 1970) The CIA begins project MKNAOMI to "stockpile incapacitating and lethal materials, to develop gadgetry for the disseminations of these materials, and to test the effects of certain drugs on animals and humans." As part of MKNAOMI, the CIA and the Special Operations Division of the Army Biological Laboratory at Fort Detrick try to develop two suicide pill alternatives to the standard cyanide suicide pill given to CIA agents and U-2 pilots. CIA agents and U-2 pilots are meant to take these pills when they find themselves in situations in which they (and all the information they hold in their brains) are in enemy hands. They also develop a "microbioinoculator" -- a device that agents can use to fire small darts coated with biological agents that can remain potent for weeks or even months. These darts can be fired through clothing and, most significantly, are undetectable during autopsy. Eventually, by the late 1960s, MKNAOMI enables the CIA to have a stockpile of biological toxins -- infectious viruses, paralytic shellfish toxin, lethal botulism toxin, snake venom and the severe skin disease-producing agent Mircosporum gypseum. Of course, the development of all of this "gadgetry" requires human experimentation (Goliszek). (1953 - 1974) CIA Director Allen Dulles authorizes the MKULTRA program to produce and test drugs and biological agents that the CIA could use for mind control and behavior modification. MKULTRA later becomes well known for its pioneering studies on LSD, which are often performed on prisoners or patrons of brothels set up and run by the CIA. The brothel experiments, known as "Operation Midnight Climax," feature two-way mirrors set up in the brothels so that CIA agents can observe LSD's effects on sexual behavior. Ironically, governmental figures sometimes slip LSD into each other's drinks as part of the program, resulting in the LSD psychosis-induced suicide of Dr. Frank Olson indirectly at the hands of MKULTRA's infamous key player Dr. Sidney Gottlieb. Of all the hundreds of human test subjects used during MKULTRA, only 14 are ever notified of the involvement and only one is ever compensated ($15,000). Most of the MKULTRA files are eventually destroyed in 1973 (Elliston; Merritte, et al. ; Barker). The U.S. Atomic Energy Commission (AEC) sponsors iodine studies at the University of Iowa. In the first study, researchers give pregnant women 100 to 200 microcuries of iodine-131 and then study the women's aborted embryos in order to learn at what stage and to what extent radioactive iodine crosses the placental barrier. In the second study, researchers give 12 male and 13 female newborns under 36 hours old and weighing between 5.5 and 8.5 pounds iodine-131 either orally or via intramuscular injection, later measuring the concentration of iodine in the newborns' thyroid glands (Goliszek). Secretary of Defense Charles Wilson issues the Wilson memo, a top-secret document establishing the Nuremberg Code as Department of Defense policy on human experimentation. The Wilson memo requires voluntary, written consent from a human medical research subject after he or she has been informed of "the nature, duration, and purpose of the experiment; the method and means by which it is to be conducted; all inconveniences and hazards reasonably to be expected; and effects upon his health or person which may possibly come from his participation in the experiment." It also insists that doctors only use experimental treatments when other methods have failed (Berdon). As part of an AEC study, researchers feed 28 healthy infants at the University of Nebraska College of Medicine iodine-131 through a gastric tube and then test concentration of iodine in the infants' thyroid glands 24 hours later (Goliszek). (1953 - 1957) Eleven patients at Massachusetts General Hospital in Boston are injected with uranium as part of the Manhattan Project (Sharav). In an AEC-sponsored study at the University of Tennessee, researchers inject healthy two- to three-day-old newborns with approximately 60 rads of iodine-131 (Goliszek). Newborn Daniel Burton becomes blind when physicians at Brooklyn Doctors Hospital perform an experimental high oxygen treatment for Retrolental Fibroplasia, a retinal disorder affecting premature infants, on him and other premature babies. The physicians perform the experimental treatment despite earlier studies showing that high oxygen levels cause blindness. Testimony in Burton v. Brooklyn Doctors Hospital (452 N.Y.S.2d875) later reveals that researchers continued to give Burton and other infants excess oxygen even after their eyes had swelled to dangerous levels (Goliszek, Sharav). The CIA begins Project MKDELTA to study the use of biochemicals "for harassment, discrediting and disabling purposes" (Goliszek). A 1953 article in Clinical Science describes a medical experiment in which researchers purposely blister the abdomens of 41 children, ranging in age from eight to 14, with cantharide in order to study how severely the substance irritates the skin (Goliszek). The AEC performs a series of field tests known as "Green Run," dropping radiodine 131 and xenon 133 over the Hanford, Wash. site -- 500,000 acres encompassing three small towns (Hanford, White Bluffs and Richland) along the Columbia River (Sharav). In an AEC-sponsored study to learn whether radioactive iodine affects premature babies differently from full-term babies, researchers at Harper Hospital in Detroit give oral doses of iodine-131 to 65 premature and full-term infants weighing between 2.1 and 5.5 pounds (Goliszek). (1954) The CIA begins Project QKHILLTOP to study Chinese Communist Party brainwashing techniques and use them to further the CIA's own interrogative methods. Most experts speculate that the Cornell University Medical School Human Ecology Studies Program conducted Project QKHILLTOP's early experiments (Goliszek). (1954 - 1975) U.S. Air Force medical officers assigned to Fort Detrick's Chemical Corps Biological Laboratory begin Operation Whitecoat -- experiments involving exposing human test subjects to hepatitis A, plague, yellow fever, Venezuelan equine encephalitis, Rift Valley fever, rickettsia and intestinal microbes. These test subjects include 2,300 Seventh Day Adventist military personnel, who choose to become human guinea pigs rather than potentially kill others in combat. Only two of the 2,300 claim long-term medical complications from participating in the study ("Operation Whitecoat".) In a general memo to university researchers under contract with the military, the Surgeon General of the U.S. Army asserts the human experimentation guidelines -- including informed, written consent -- established in the classified Wilson memo (Goliszek). (1955) In U.S. Army-sponsored experiments performed at Tulane University, mental patients are given LSD and other drugs and then have electrodes implanted in their brain to measure the levels (Barker, "The Cold War Experiments"). (1955 - 1965) As a result of their work with the CIA's mind control experiments in Project QKHILLTOP, Cornell neurologists Harold Wolff and Lawrence Hinkle begin the Society for the Investigation of Human Ecology (later renamed the Human Ecology Fund) to study "man's relation to his social environment as perceived by him" (Goliszek). (1956 - 1957) U.S. Army covert biological weapons researchers release mosquitoes infected with yellow fever and dengue fever over Savannah, Ga., and Avon Park, Fla., to test the insects' ability to carry disease. After each test, Army agents pose as public health officials to test victims for effects and take pictures of the unwitting test subjects. These experiments result in a high incidence of fevers, respiratory distress, stillbirths, encephalitis and typhoid among the two cities' residents, as well as several deaths (Cockburn and St. Clair, eds.). (1957) The U.S. military conducts Operation Plumbbob at the Nevada Test Site, 65 miles northwest of Las Vegas. Operation Pumbbob consists of 29 nuclear detonations, eventually creating radiation expected to result in a total 32,000 cases of thyroid cancer among civilians in the area. Around 18,000 members of the U.S. military participate in Operation Pumbbob's Desert Rock VII and VIII, which are designed to see how the average foot soldier physiologically and mentally responds to a nuclear battlefield ("Operation Plumbbob", Goliszek). (1957 - 1964) As part of MKULTRA, the CIA pays McGill University Department of Psychiatry founder Dr. D. Ewen Cameron $69,000 to perform LSD studies and potentially lethal experiments on Canadians being treated for minor disorders like post-partum depression and anxiety at the Allan Memorial Institute, which houses the Psychiatry Department of the Royal Victoria Hospital in Montreal. (1961) In response to the Nuremberg Trials, Yale psychologist Stanley Milgram begins his famous Obedience to Authority Study in order to answer his question "Could it be that (Adolf) Eichmann and his million accomplices in the Holocaust were just following orders? Could we call them all accomplices?" Male test subjects, ranging in age from 20 to 40 and coming from all education backgrounds, are told to give "learners" electric shocks for every wrong answer the learners give in response to word pair questions. In reality, the learners are actors and are not receiving electric shocks, but what matters is that the test subjects do not know that. Astoundingly, they keep on following orders and continue to administer increasingly high levels of "shocks," even after the actor learners show obvious physical pain ("Milgram Experiment"). (1962) Researchers at the Laurel Children's Center in Maryland test experimental acne antibiotics on children and continue their tests even after half of the young test subjects develop severe liver damage because of the experimental medication (Goliszek). The U.S. Army's Deseret Test Center begins Project 112. This includes SHAD (Shipboard Hazard and Defense), which exposes U.S. Navy and Army personnel to live toxins and chemical poisons in order to determine naval ships' vulnerability to chemical and biological weapons. Military personnel are not test subjects; conducting the tests exposes them. Many of these participants complain of negative health effects at the time and, decades later, suffer from severe medical problems as a result of their exposure (Goliszek, Veterans Health Administration). The FDA begins requiring that a new pharmaceutical undergo three human clinical trials before it will approve it. From 1962 to 1980, pharmaceutical companies satisfy this requirement by running Phase I trials, which determine a drug's toxicity, on prison inmates, giving them small amounts of cash for compensation. (1963) Chester M. Southam, who injected Ohio State Prison inmates with live cancer cells in 1952, performs the same procedure on 22 senile, African-American female patients at the Brooklyn Jewish Chronic Disease Hospital in order to watch their immunological response. Southam tells the patients that they are receiving "some cells," but leaves out the fact that they are cancer cells. He claims he doesn't obtain informed consent from the patients because he does not want to frighten them by telling them what he is doing, but he nevertheless temporarily loses his medical license because of it. Ironically, he eventually becomes president of the American Cancer Society (Greger, Merritte, et al.) Researchers at the University of Washington directly irradiate the testes of 232 prison inmates in order to determine radiation's effects on testicular function. When these inmates later leave prison and have children, at least four have babies born with birth defects. The exact number is unknown because researchers never follow up on the men to see the long-term effects of their experiment (Goliszek). In a National Institutes of Health-sponsored (NIH) study, a researcher transplants a chimpanzee's kidney into a human. The experiment fails (Sharav). (1963 - 1966) New York University researcher Saul Krugman promises parents with mentally disabled children definite enrollment into the Willowbrook State School in Staten Island, New York, at a resident mental institution for mentally retarded children, in exchange for their signatures on a consent form for procedures presented as "vaccinations." In reality, the procedures involve deliberately infecting children with viral hepatitis by feeding them an extract made from the feces of infected patients, so that Krugman can study the course of viral hepatitis as well the effectiveness of a hepatitis vaccine. (1963 - 1971) Leading endocrinologist Dr. Carl Heller gives 67 prison inmates at Oregon State Prison in Salem $5 per month and $25 per testicular tissue biopsy in compensation for allowing him to perform irradiation experiments on their testes. If they receive vasectomies at the end of the study, the prisoners are given an extra $100 (Sharav, Goliszek). Researchers inject a genetic compound called radioactive thymidine into the testicles of more than 100 Oregon State Penitentiary inmates to learn whether sperm production is affected by exposure to steroid hormones (Greger). In a study published in Pediatrics, researchers at the University of California's Department of Pediatrics use 113 newborns ranging in age from one hour to three days old in a series of experiments used to study changes in blood pressure and blood flow. In one study, doctors insert a catheter through the newborns' umbilical arteries and into their aortas and then immerse the newborns' feet in ice water while recording aortic pressure. In another experiment, doctors strap 50 newborns to a circumcision board, tilt the table so that all the blood rushes to their heads and then measure their blood pressure (Goliszek). (1964) (1964 - 1968) The U.S. Army pays $386,486 (the largest sum ever paid for human experimentation) to University of Pennsylvania Professors Albert Kligman and Herbert W. Copelan to run medical experiments on 320 inmates of Holmesburg Prison to determine the effectiveness of seven mind-altering drugs. The researchers' objective is to determine the minimum effective dose of each drug needed to disable 50 percent of any given population (MED-50). Though Professors Kligman and Copelan claim that they are unaware of any long-term effects the mind-altering agents might have on prisoners, documents revealed later would prove otherwise. (1964 - 1967) The Dow Chemical Company pays Professor Kligman $10,000 to learn how dioxin -- a highly toxic, carcinogenic component of Agent Orange -- and other herbicides affect human skin because workers at the chemical plant have been developing an acne-like condition called Chloracne and the company would like to know whether the chemicals they are handling are to blame. As part of the study, Professor Kligman applies roughly the amount of dioxin Dow employees are exposed to on the skin 60 prisoners, and is disappointed when the prisoners show no symptoms of Chloracne. In 1980 and 1981, the human guinea pigs used in this study would begin suing Professor Kligman for complications including lupus and psychological damage. (1965) The Department of Defense uses human test subjects wearing rubber clothing and M9A1 masks to conduct 35 trials near Fort Greely, Ala., as part of the Elk Hunt tests, which are designed to measure the amount of VX nerve agent put on the clothing of people moving through VX-contaminated areas or touching contaminated vehicles, and the amount of VX vapor rising from these areas. After the tests, the subjects are decontaminated using wet steam and high-pressure cold water (Goliszek). As part of a test codenamed "Big Tom," the Department of Defense sprays Oahu, Hawaii's most heavily populated island, with Bacillus globigii in order to simulate an attack on an island complex. Bacillus globigii causes infections in people with weakened immune systems, but this was not known to scientists at the time (Goliszek, Martin).